I called an Uber for the first time today and it was the most easiest thing! Yes, taxi apps like Careem exist (or used to exist in Kuwait. I remember reading on Kuwaitiful (post here!) about how they were banned, way to go Kuwait! Lets extinguish any development whatsoever) but having my own license and car meant that I never really bothered about them. On a side note, driving in Kuwait is a privilege and I love the freedom it gives me to go anywhere anytime. Yes, you read that right, driving is a privilege in Kuwait and not a right like it is everywhere else in the world. Because for some reason in Kuwait, being able to drive depends on the degrees you've earned and the position you hold in a company, or you should have amazing vasta because without any of the above, you apparently do not possess the ability to drive! 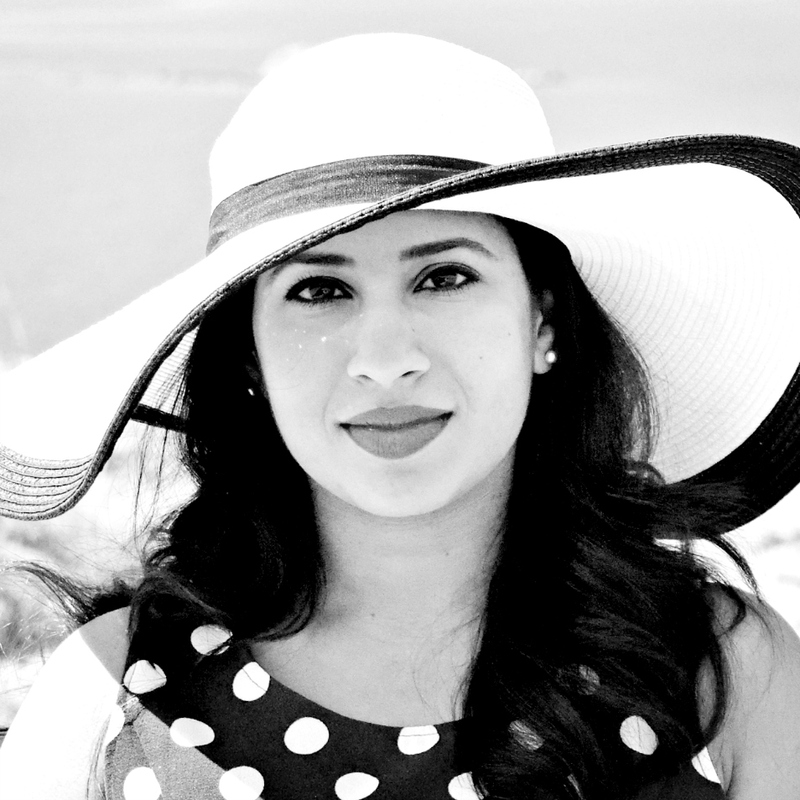 OK, this post is about my beautiful experience with Uber and not a rant about Kuwait, ha! I have a license here in India and access to a car, but it takes a monstrous amount of courage to get out onto the Indian roads. Traffic rules are only suggestions and motorbike riders swarm around you like flies zipping in and out. Add to that the pressure of driving a manual and I'm a nervous wreck. You may think I'm exaggerating, but I'm really not! Anyway, Mum and I decided to go out on our own for a day of shopping and Mum surprised me with her new found savviness when she suggested we Uber ourselves to the shops. What!? 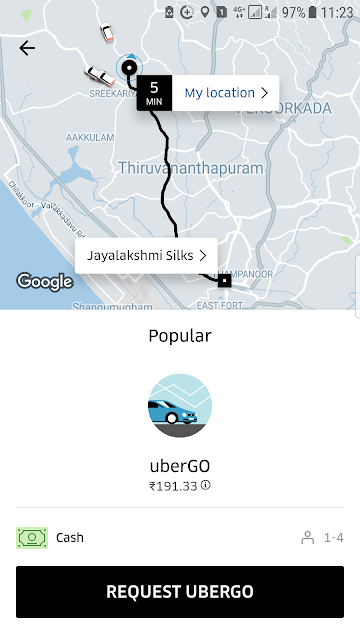 Uber here in Trivandrum? And it couldn't have been easier. I just had to download the app and enter in my destination. 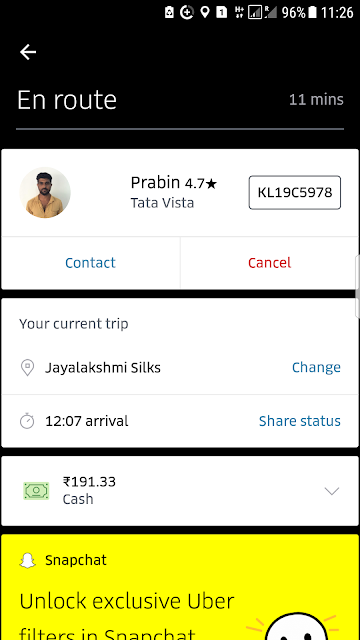 The total amount displays on the screen and all that is left for you to do is request an Uber. Within seconds a driver was assigned to me and I was given an estimate of how far away he was. You also get to stalk your driver while you watch him make his way to your pick up point. Details about what car he's driving and the number plate is also given so that you don't hop into the wrong car. There's also the option to call him on his mobile. They've thought of everything! We ubered ourselves back home too after our shopping spree and the wait was even less being in the heart of the city. The driver on the way back was talking about how Uber only charged Rs. 9.5 per km. But wait, a 10km trip cost me 191 and that's when I found the below fare breakdown in the App. Even with the minimum fare, for pretty much the price of an auto-rickshaw (that's a tuk tuk for the rest of the world) you get to travel in an air conditioned car. Forget the old grumpy middle aged drivers you're used too. 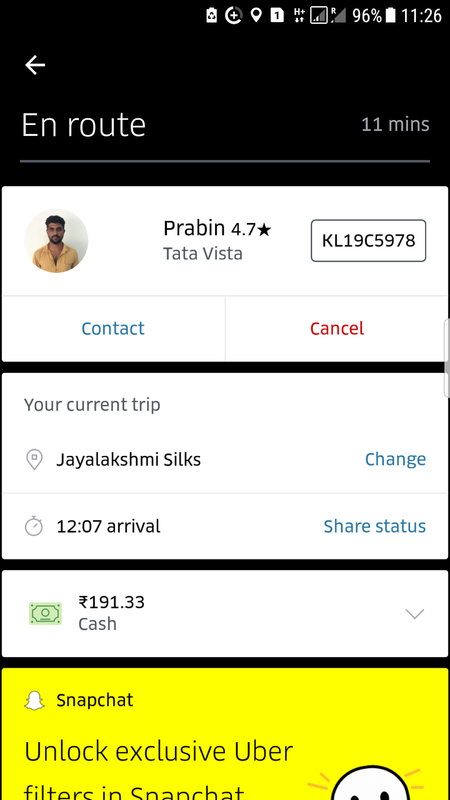 These Uber drivers are friendly, polite and well spoken! Payment is also straight forward, no more haggling! You pay what you see on your screen and you can pay via cash, debit or credit card or even Paytm. 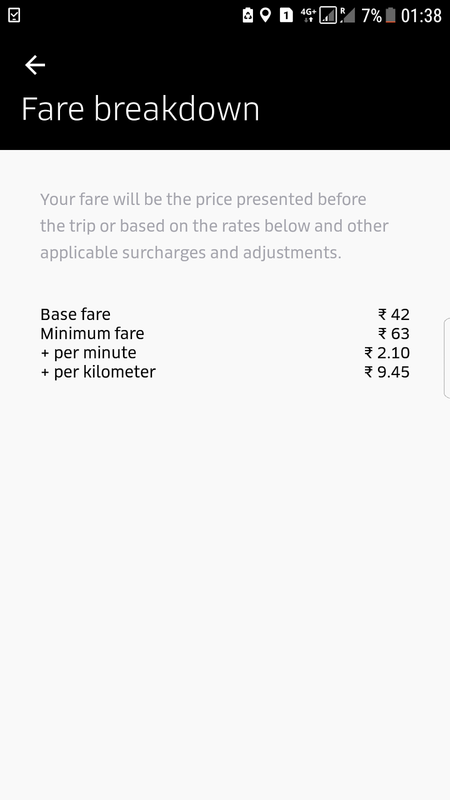 With these prices, Uber must be losing money and I actually read a case study about how Uber has to lose money in order to build up a large enough customer base before things can turn around. So give Uber a chance the next time you're in India, let's keep a good thing alive. You'll love the convenience and just how cheap it is too. And while you're at it, here's my referral link to get Rs. 50 of your next 2 rides with Uber! I couldn't agree more regarding drivers license in Kuwait. I am in Kuwait and struggling to get one myself which is real sad as i was born and raised here. Getting on the real topic of Uber, i did have a chance to use one when i was in Banglore and Cochin on my last visit earlier this year and it was super convenient. No hassle of talking to auto drivers and bargaining on the amount. I really wish Uber was available in Kuwait. Things would be so much more easier. How long is your vacation? Have a great time with your family. Hey Sonia! I'm away for 2 whole months! One month down, another to go. Its flying by so quickly. Oh, you're trying to get your license? I hope you're able to get it with too much of a hassle. It seriously is such a pain. The rules aren't clear cut and it all depends on the mood of the officer at the counter for the most part unfortunately. Yup, Uber is great isn't it? I've been calling Ubers for everything now. I can't believe just how easy it is and cheap too! Kuwait should definitely bring back the taxi apps, the taxis there really need to be regulated a little more. Good luck with your license!